Roasting is one of our favorite ways to prepare vegetables. A hint of sweet ,with maple syrup, and sour, from balsamic vinegar, give these brussels sprouts a hint of sweet and sour. 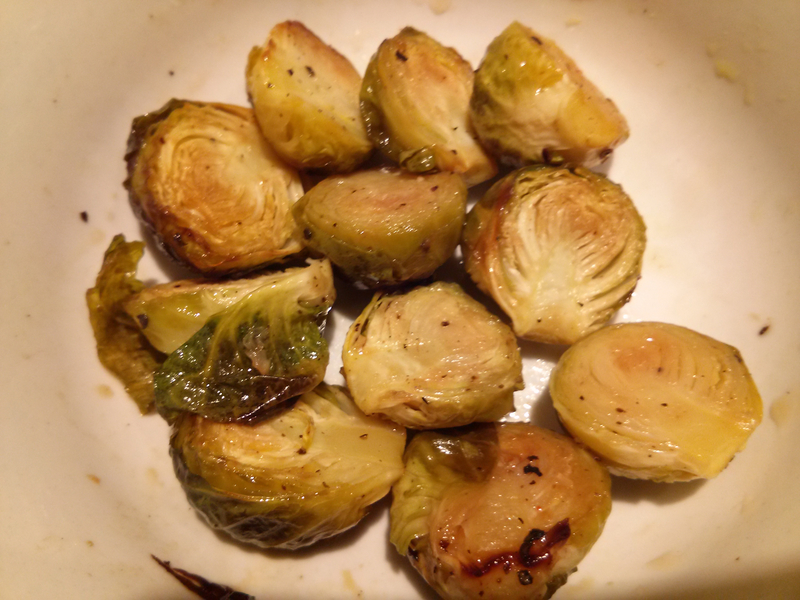 Clean brussels sprouts and cut in half. Place in baking dish with olive oil, salt and pepper. Bake in 400° F oven for 20 minutes. Add vinegar and maple syrup to cooked brussels sprouts and toss.